Why purchase our Premium Construction WordPress Theme? Pulling out the big guns with the real deal that is Premium Construction WordPress Theme. Well, limiting yourself to minimal won’t cut it, upgrading to Premium Construction WordPress Theme is certainly a wiser choice. The minimal template is great for establishing a website, but a growing business demands something better. The task is for something far superior to push forth your business and attaining the predetermined objectives and goals can only be achieved with our premium template. The growth and development of the business fall briefly on the shoulders of your store. In this case, your online E-commerce store that is your website that takes the center stage. The job of any theme is ensuring that the content is promoted with correct push. The highlight should fall on the products and relevant content that is up for sale. Most themes won’t even be suitable for your business they are made with lackluster approach & disregarding what businesses are looking to make the purchase. This quality template for construction companies has testimonial section, social media linkages, quick access links, property listing, agents listing, meta field sliders and so on. We assure you, you won’t regret purchasing the theme from us. What problems other themes gave you won’t reoccur with us. Our team of expert developers, designers intertwined efforts saw the creation of this stunning construction portfolio template. 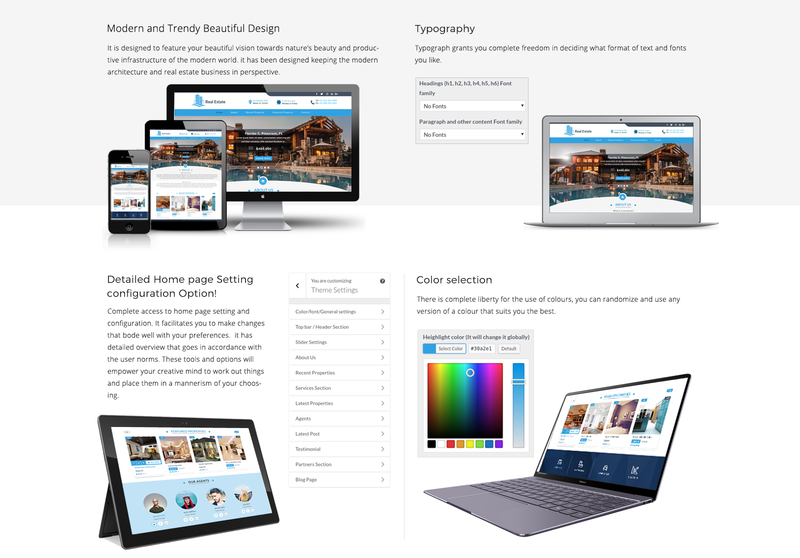 This property Wp theme is unlike anything you have seen on the webspace, it has been made on the useful bootstrap 4 that ensures responsiveness. No stones were left unturned while the theme was designed and made. We rigorously looked into the themes functionalities and booted any errors and problems that were discovered. It has been put to scrutiny umpteen times so that a utopian real estate template can be created and served on a silver platter. 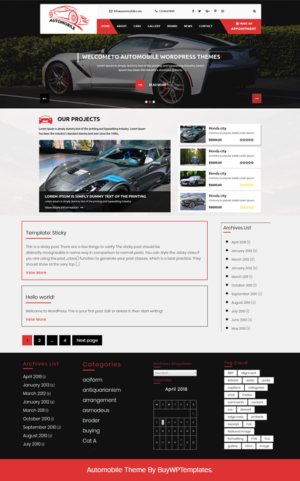 Your money will not only be taken as just an investment with the purchase of our theme. Our theme has the power to reap recurring benefits and pay you back in the foreseeable future. The mesmerizing theme has gorgeous sections strewn across the entire template like the banner head with a helpful call to action button. The premium theme does not halt at that, it also comes with exclusive features that are limited to them. Not to forget the long list of features and beneficial customizer options that can empower you to take control of your website and customize it as per your wishes. This state of the art theme with clean and secure codes takes the security of your web pages very seriously. So what is the wait, hop on and become a part of our budding community of WordPress templates and show the world what you got. Inquiry form for each property.